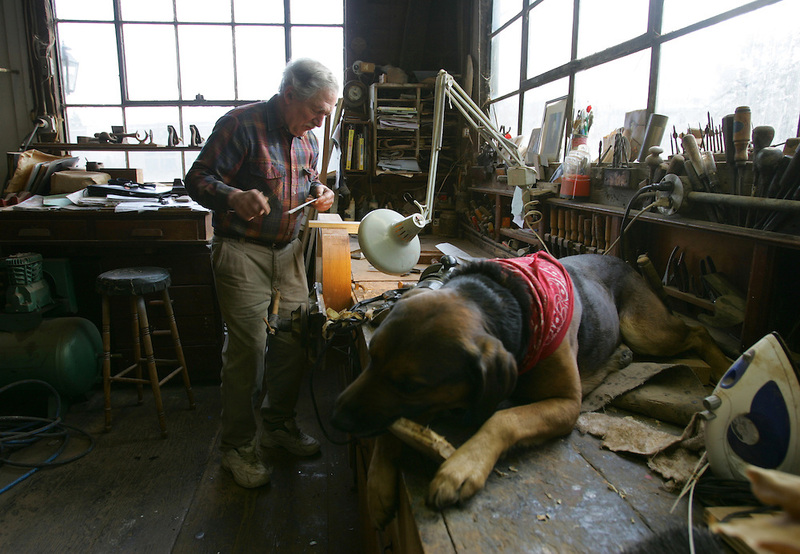 John Sullivan crafts a coffee table from mahogany in his workshop as his dog Mickey does some woodworking of his own on Friday afternoon. Sullivan said he decided decades ago that he would switch careers from the business world and start working in his uncle's ship building shop overlooking the Monatiquot River. Some 25 years later, he is the man behind Starling Furniture, a successful fine furniture shop in the East Braintree/Weymouth Landing area. "It's interesting work," Sullivan says, "You get hooked on it. ".